It sounds like the name of the famous 15th-century Italian sculptor Michelangelo, but no, I am not talking about him. I’m referring to Michael Angelo Lobrin. For starters, Michael Angelo is a TV host and an actor who has appeared in TV series including Tsuperhero, Pari ‘Koy, and Pamilya Roces, to name a few. To those who religiously watch #MichaelAngelo: The Sitcom, which airs on GMA News TV, they know him as a former seminarian who ventured into motivational speaking, and later on, TV hosting. 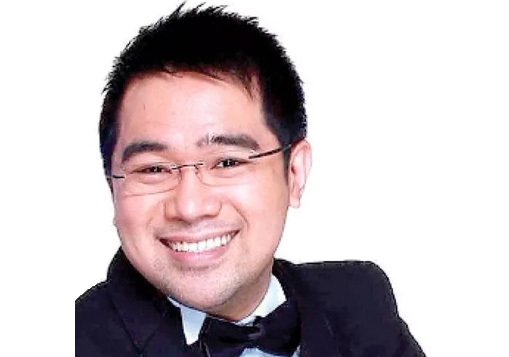 In a press conference held on Friday at the 77 Café Restaurant in Quezon City, the ever witty and spontaneous TV host addressed everyone in the room and made a rather lengthy introduction of himself. “I decided to pursue a life outside the seminary even though I was about to finish the course. I asked Jaime Cardinal Sin’s, when he was still alive, permission. I told him, it’s hard to be a priest if you’re good-looking. So, he let me go,” he quipped. After leaving the seminary, Michael Angelo became a professor. After delivering a motivational speech in one of the events he attended to, he got an offer from a GMA executive who apparently got amused by him entertaining the crowd with his wisdom and wit at the same time. “And then my friends in show business namely AiAi delas Alas, Dingdong Dantes and broadcaster Mike Enriquez helped me enter the entertainment industry,” he said. Apart from producing a TV show Michael Angelo is a businessman and a book author as well. He is the author of the best-selling book Laugh with God Today!. “I know that hindi ako pang-boy next door. But I believe that, if there’s no opportunity, you create the opportunity. And so I create my own show. It wasn’t really that easy. I tried looking for sponsors and thankfully, God answered my prayers,” Michael Angelo shared. The show is still currently connected with GMA Kapuso and remains in fact as the longest running sitcom on GMA News TV. It will be launching its fresh new season - the unprecedented Season 13 - on Jan. 27. Part of the cast of #MichaelAngelo: The Sitcom are Derrick Monasterio, Betong Sumaya, John Feir, Maey Bautista, Arny Ross, and Lovely Abella. While the show still consistently receives good ratings, exciting plans to further its reach are underway. The team is now currently preparing for a Lenten Special. “We will be having replays in the evening, as well as another segment in the morning for an hour of Lenten reflections and teachings, entitles #Michael Angelo Holy Week Reflections,” Michael Angelo told showbiz reporters. “We are also lining up additional characters for the show. Among them is Congressman Henry Ong of the second district of Leyte, who will help magnify the public service angle of the show. His character will portray someone involved in the advocacy of public service,” he concluded.